The release of radioactivity from Fukushima—both as atmospheric fallout and direct discharges to the ocean—represent the largest accidental release of radiation to the ocean in history. Concentrations of cesium-137, an isotope with a 30-year half life, at the plants’s discharge point to the ocean, peaked at over 50 million times normal/previous levels, and concentrations 18 miles off shore were much higher than those measured in the ocean after the Chernobyl accident 25 years ago. This is largely due to the fact that the Fukushima nuclear power plants are located along the coast, whereas Chernobyl was several hundred miles from the nearest salt water basins, the Baltic and Black Seas. However, due to ocean mixing processes, the levels are rapidly diluted off the Northwest coast of Japan. The study used publically available data on the concentrations of cesium-137, cesium-134, and iodine-131 as a basis to compare the levels of radionuclides released into the ocean with known levels in the sea surrounding Japan prior to the accident. 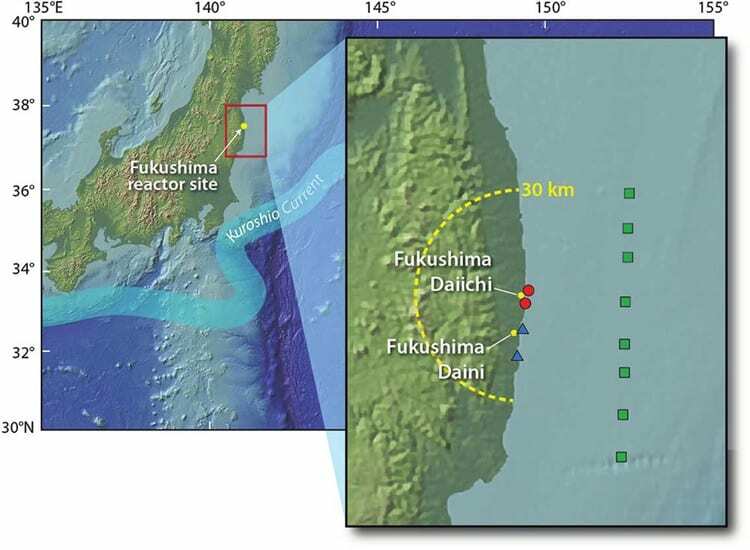 Impacts of the Fukushima Nuclear Power Plants on Marine Radioactivity is published in the latest issue of Environmental Science & Technology and is available on the journal’s website. 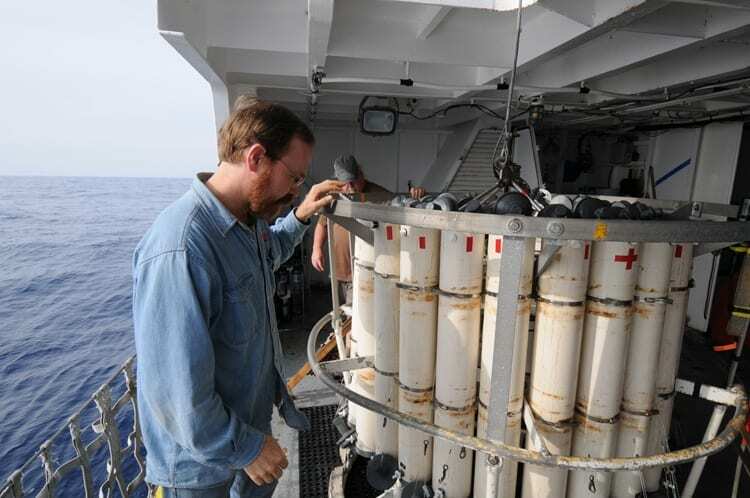 Buesseler received funding support for this work from the Gordon and Betty Moore Foundation and the National Science Foundation’s Chemical Oceanography program.